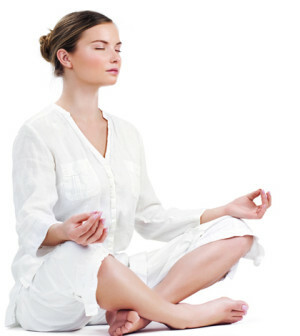 Healing through meditation has been performed by spiritually enlightened persons for thousands of years. The great thing about it, especially in the context of our modern times, is that no “special” power is needed in order to perform it—ordinary folks like you and I can easily meditate to achieve health and healing, and we can do this whenever it is convenient for us. The following are the easy no-BS steps in performing meditation on your own. 1. Find a quiet place in your home where you will not be interrupted for at least 30 minutes. Ideally, this would be your bedroom, where you can lock the door to ensure no one would just barge in and interrupt your attempt in achieving healing through meditation. It may also help to place a sign on your door to inform your housemates that they should not disturb you. 2. The best time to meditate is in the evening when activities have significantly died down and when you can do it in the dark. The absence of light is believed to stimulate certain glands that enable you to “get in the zone”. 3. Sit on a spot where you can be comfortable. Sitting on a yoga mat placed on the floor is recommended, but the point is, as long as you’re comfortable, the battle is half won. Relax and close your eyes and stop caring about the outside world—here, you are in your bubble of calm and happiness. 4. Start breathing deeply and slowly. Do this by inhaling through your nose slowly, filling up your lungs with air, and holding it there for a few seconds before exhaling through your mouth. Did we mention “slowly”? Continue breathing in this fashion for at least three times. 5. When outside thoughts begin flooding your head and distract you, focus on your breathing—think about how the air comes and goes out of your lungs and fill up your being. You can also use a mantra—choose a positive affirmation (such as “I am filled with peace” or “I feel extremely strong”) and mentally repeat it. 6. Stay absolutely calm. Stop judging yourself or others or everything that happens beyond the immediate space surrounding you. Stop caring. Just let it be. Know that things will take care of themselves. 7. Continue this breathing and mantra repetition for at least five minutes or even more. You will feel your bond with the universe and with the higher levels of your consciousness grow stronger. It’s best to use a timer to make sure you would not end the session too soon, but choose something that is not as shrill as an alarm clock—something that makes a single soft “ding”. When the session is over, move your hands and fingers and feet, wriggle them to jump-start your blood’s circulation and to waken your system to the fact that you’re still here. When you feel you’ve arrived at the right moment, slowly open your eyes and turn the light back on. Try to meditate at least once a day, or before you fully retire at night. Healing through meditation has been studied and documented by researchers, and its mechanism has been observed using high-tech instruments. For instance, it has been shown that meditation heals us firstly by boosting the body’s production of neurochemicals and “feel good” hormones, such as serotonin, GABA, DHEA and melatonin—this is not some empty claim, but rather a documented fact. These are hormones that help stabilize our mood, eliminate stress, and give us a deep feeling of calm and well-being. So regular meditation can go a long way in giving us the health we all need—naturally.